Born in 1923 to Melvin and Vervel Robertson in Harrah in Oklahoma County near Oklahoma City in central Oklahoma, Robertson worked as a professional boxer briefly before enrolling in the Oklahoma Military Academy in Claremore. He also served in the military before his professional acting career began. He served in the United States Army 322nd Combat Engineer Battalion of the 97th Infantry Division in Europe during World War II and was wounded twice. He received Bronze and Silver Star medals. Robertson began his acting career by chance when he was in the United States Army. Stationed at San Luis Obispo, California, Robertson decided to have a photograph taken for his mother; so he and several other soldiers went to Hollywood to find a photographer. A large copy of his photo was later displayed in the photographer’s shop window. He found himself receiving letters from film agents who wished to represent him. After the war, Robertson stayed in California. Hollywood actor Will Rogers, Jr., gave him this advice: “Don’t ever take a dramatic lesson. They will try to put your voice in a dinner jacket, and people like their hominy and grits in everyday clothes.” Robertson thereafter avoided formal acting lessons. 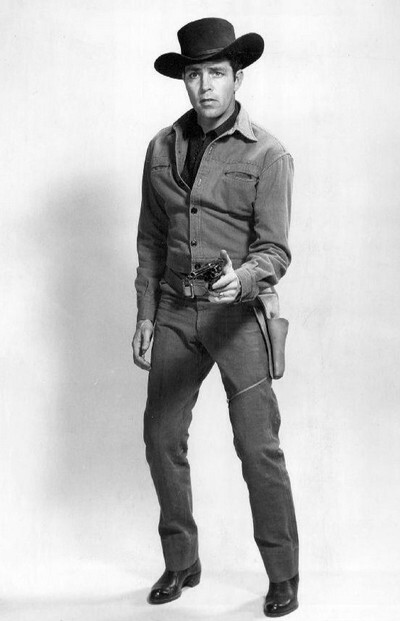 For most of his career, Robertson played in western films and television shows—well over sixty titles in all. His best-remembered series, Tales of Wells Fargo, aired on NBC from 1957 to 1961, when it moved to ABC and expanded to an hour-long program for its final season in 1961-1962. Robertson also did the narration for Tales of Wells Fargo through which he often presented his own commentary on matters of law, morality, and common sense. 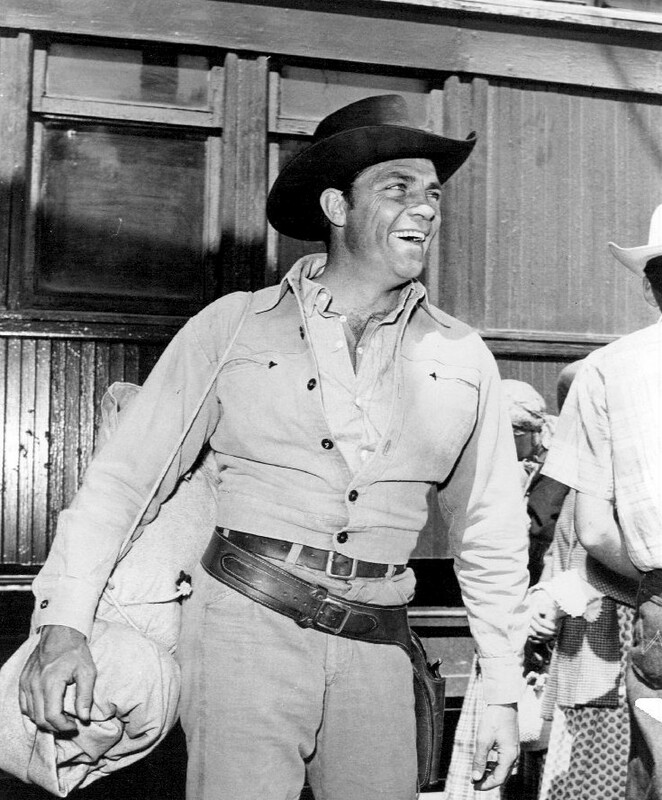 In its March 30, 1959, cover story on television westerns, Time magazine reported Robertson was 6 feet tall, weighed 180 pounds, and measured 42-34-34. He sometimes made use of his physique in “beefcake” scenes, such as one in 1952’s Return of the Texan where he is seen bare-chested and sweaty, repairing a fence. 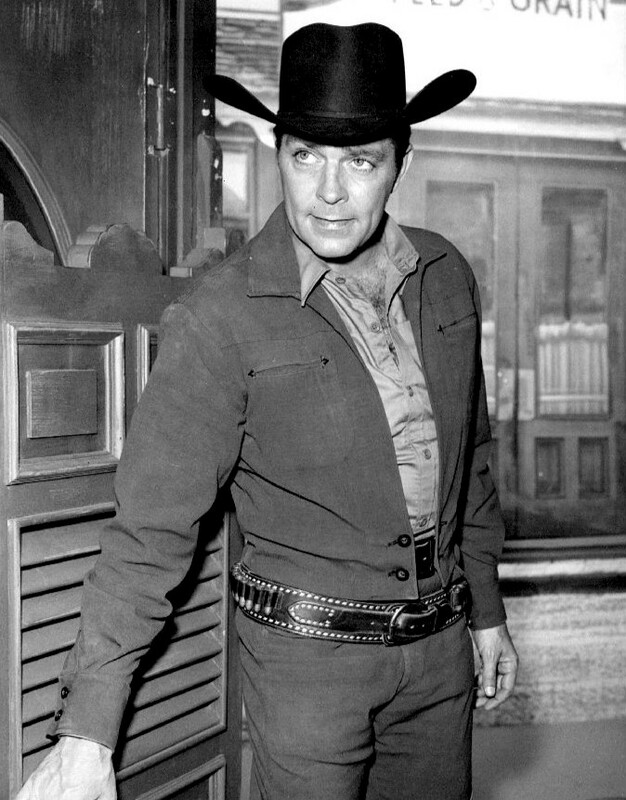 In the 1966-67 season, Robertson starred in ABC’s The Iron Horse, in which his character wins an incomplete railroad line in a poker game and then decides to manage the company. In 1968, he succeeded Robert Taylor as the host of Death Valley Days, a role formerly held by Stanley Andrews and future U.S. President Ronald W. Reagan. In rebroadcasts, Death Valley Days is often known as Trails West, with Ray Milland in the role of revised host. Though Robertson played a central part in two episodes of CBS’s Murder, She Wrote series with Angela Lansbury, he was not credited in either appearance. In 1960, Robertson guest starred as himself in NBC’s The Ford Show, starring Tennessee Ernie Ford. In 1962, he similarly appeared on a short-lived western comedy and variety series, ABC’s The Roy Rogers and Dale Evans Show. In 1963, after Tales of Wells Fargo ended its five-year run, he played the lead role in the first of A.C. Lyles’ second feature westerns, Law of the Lawless. Robertson created United Screen Arts in 1965 which released two of his films, The Man from Button Willow (1965, animated) and The One Eyed Soldiers (1966). He portrayed legendary FBI agent Melvin Purvis in two made-for-television movies, Melvin Purvis: G-Man (1974) and The Kansas City Massacre (1975). He received the Golden Boot Award in 1985, has a star on the Hollywood Walk of Fame, and is also in the Hall of Great Western Performers and the National Cowboy & Western Heritage Museum in Oklahoma City In 1999, Robertson won the award for film and television from the American Cowboy Culture Association in Lubbock, Texas. In his later years, Robertson and his wife, the former Susan Robbins, whom he married in 1980, had lived on his ranch in Yukon, Oklahoma. He died at Scripps Memorial Hospital in La Jolla within San Diego, California, on February 27, 2013, from lung cancer and pneumonia. He was 89 and had a daughter and a granddaughter.